Sweet, rich, slightly earthy. Brown sugar, orangy citrus, fresh-cut cedar, bakers’ chocolate, a hint of fresh, humus-like earth in aroma and cup. Round, gently lively acidity; very lightly syrupy mouthfeel. Flavor consolidates in a rather short finish. 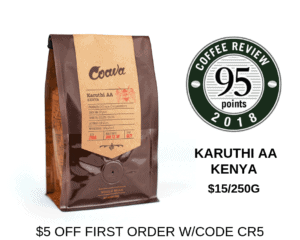 Who Should Drink It: Displays a hint of the earthy, cedary pungency of Sumatra coffees, pleasingly enveloped in sweetness.